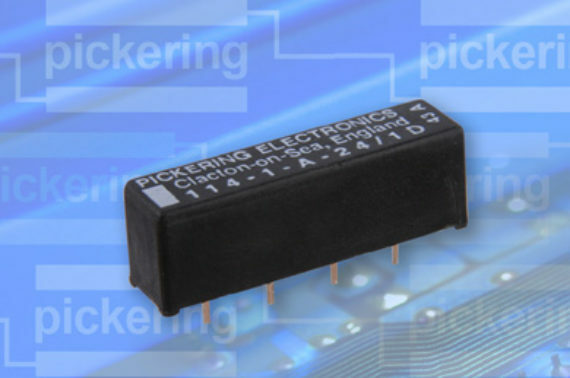 Pickering’s Series 114 Reed Relay range is a great choice for users that are looking to switch high powers. Unusually for high power relays, this range features sputtered ruthenium switches which makes them usable at low levels also. Most high power reed relays have electroplated tungsten or rhodium switches which have a poorer low level performance. Try our new interactive tool allowing you to narrow down our offering by filtering by coil voltage, switching power, switching voltage etc. to help you find the right reed relay needed for your application. 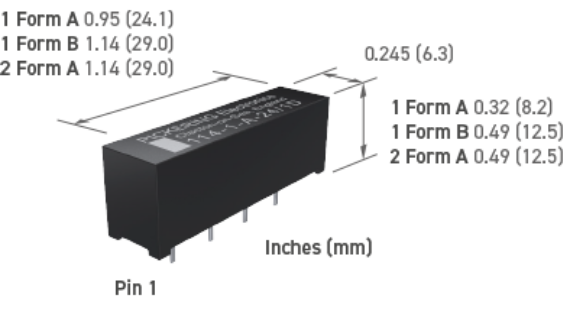 The Series 114 is a range of Single-In-Line reed relays intended for power levels that are beyond the capabilities of conventional dry SIL reed relays. The more usual dry relays are rated at 0.5 amps at 10 Watts. The Series 114 have a rating of 1 amp switching at up to 40 watts and will carry 2 amps. In many cases, this higher rating will allow them to be used as an alternative to mercury wetted reed relays. Join our newsletter to keep up-to-date with the latest Reed Relay technology. © 2019 Copyright Pickering Electronics Ltd, Stephenson Rd, Clacton, Essex, England, CO15 4NL. All rights reserved.